As First Lady, Melania Trump has mostly kept a low profile. She’s been involved in some charity work and accompanied Donald Trump to Texas to visit victims of Hurricane Harvey, but otherwise seems to be trying to stay out of the spotlight. But that doesn’t seem to matter — liberals seem insistent on attacking her anyway. 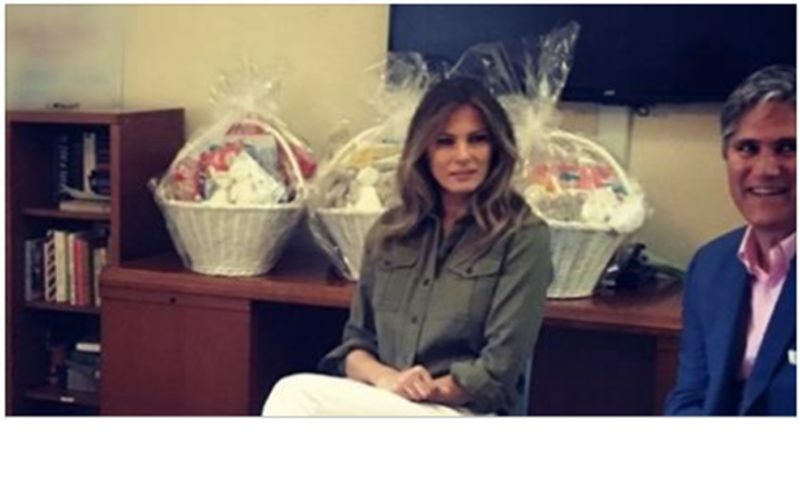 Melania made an unannounced visit to HomeSafe, a domestic abuse shelter in Fort Worth that aims to give support to victims of domestic violence and abuse. She gave a speech to a group of girls, aged 12 to 17, and brought gifts as well: Easter baskets filled with goodies and stuffed bunnies. But where was the emphasis placed on in regards to this visit? Her shoes. Footwearnews.com noted that Melania had given up her usual Christian Louboutin pumps and instead wore Rene Caovilla sandals. They can be found on Nordstrom.com for a whopping $1,150. Do you think this was a low blow?